The holiday season is well and truly upon us and in searching our collection for Christmas related items I came upon this tin. These small brass boxes were issued to all those wearing the Kings’ uniform, fighting in World War I, during Christmas 1914. 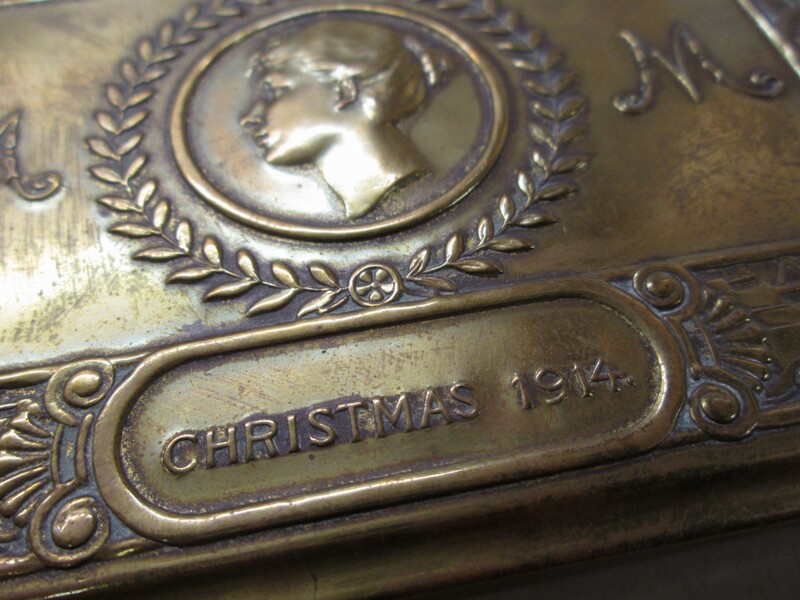 Princess Mary’s Christmas Tin – Christmas 1914. Collection of Petone Settlers Museum – Te Whare Whakaaro o Pito-one. 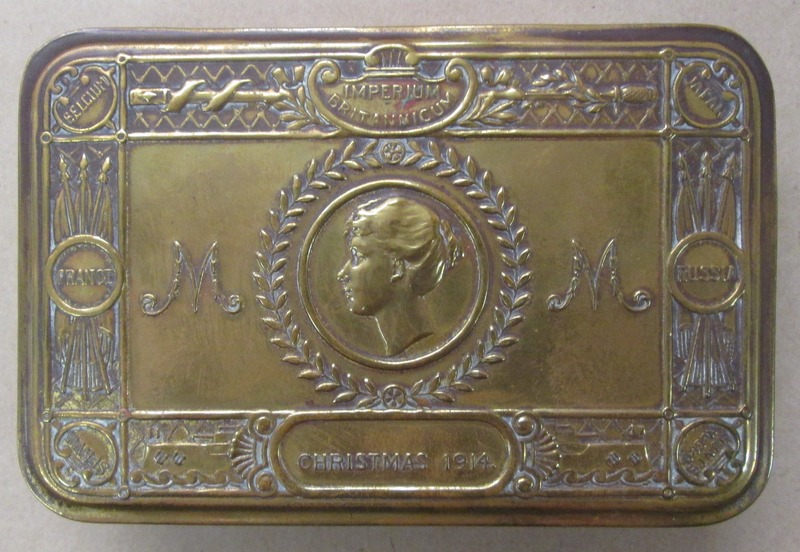 From Princess Mary, the tins contained cigarettes, tobacco, pens or chocolate, depending on who was receiving the box and follow on from a tradition begun by Queen Victoria at the turn of the century. 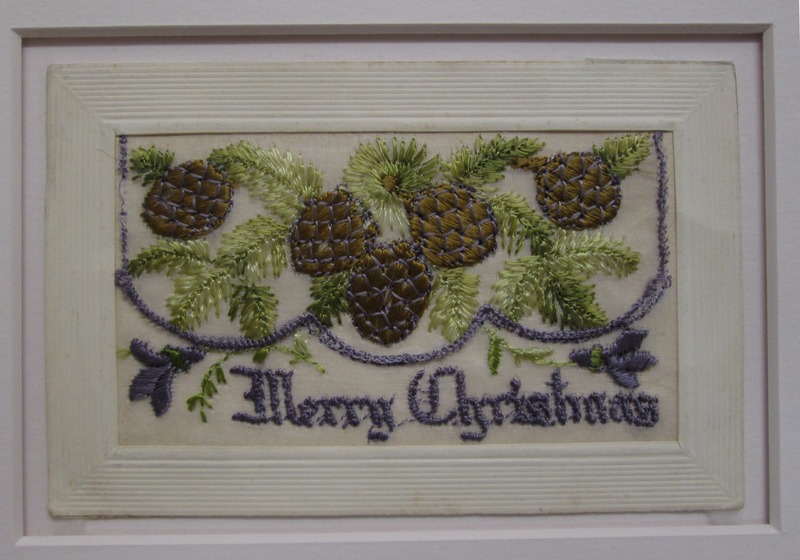 We also have a small collection of beautifully embroidered postcards, made in France, which soldiers sent home to loved ones in New Zealand. Embroidered WWI postcard, c. 1917. Collection of Petone Settlers Museum – Te Whare Whakaaro o Pito-one. Received on 20 December 1917, Christmas wishes were sent to ‘My Dearest Florrie’, from ‘Your loving Roy’. It is quite sobering thinking of those who received these gifts a century ago and the conditions many were enduring at the time. It certainly makes me feel grateful for the good company, food, and gifts I will be enjoying this Christmas. This entry was posted in PSM and tagged 1910s, Christmas, Petone, WWI. Bookmark the permalink.